In order to fully understand Jiu-Jitsu, it is important to know where it came from. Although its origins can arguably be traced to Buddhist monks of India, Jiu-Jitsu (sometimes referred to as ‘Ju-Jitsu’) in its modern form comes from Japan. Jiu-Jitsu was the battlefield art of the Samurai of Japan. These samurai warriors were well-armoured and usually on horseback and the art of Jiu-Jitsu was essentially developed to allow the samurai to fight effectively in the event that they found themselves disarmed and on foot. Because of the restricted mobility and agility associated with fighting in armour, jiu-jitsu evolved to include throwing, joint-locks and strangles, in addition to striking moves found in other martial arts. By the mid-1800’s Jiu-jitsu had fractured into several styles or ‘ryu’. Although the techniques varied from style to style, they all generally incorporated most aspects of hand to hand combat including strikes, grappling and weapon-based attacks and disarms. In the 1880’s, a stand-out young jiu-jitsu, Jigoro Kano, developed his own ryu which was based around ‘randori’, or full-power practise against resisting and skilled opponents. This was a complete deviation from the partner practise that was prevalent at the time. Kano’s style later evolved into Judo, which became one of the most widely practised sports in the world. A student of Kano’s, Mitsuo Maeda (also known as Count Koma – ‘Count of Combat’) emigrated from Japan to Brazil in 1914. He was assisted by a local politician named George Gracie, whose father had also been an immigrant, hailing originally from Scotland. As a token of his gratitude, Maeda taught jiu-jitsu to George’s son Carlos Gracie. Carlos later shared his knowledge with some of his brothers, with whom he opened Brazil’s first jiu-jitsu academy in 1925. Over the years, the Gracies’ (notably Carlos and Helio) and their students refined their art through brutal no-rules fights, both in public challenge matches and on the street. They focused their attention on submission ground fighting, which allowed allowed a smaller man to defend against and ultimately defeat a larger attacker. In the 1970’s Rolls Gracie began to further refine the art, incorporating, among other things, moves from wrestling into the curriculum. Alongside this he devised the first point and rule systems for jiu-jitsu specific competition. In the early 1990’s another Gracie, Rorion, moved from Brazil to Los Angeles, hoping to showcase his family’s fighting system to America. Although no-rules, mixed martial arts contests (known as “vale tudo”) had been popular in Brazil since Carlos Gracie first opened his academy in 1925, they were largely unknown in the rest of the world. Rorion and Art Davies conceived of an event called ‘The Ultimate Fighting Championship’ (UFC), which would pit various martial arts styles against each other. UFC enabled challengers from various martial disciplines to battle each other in an effort to prove the credibility of their sport and illustrate their martial art as the best. The first UFC took place in 1993 and was completed dominated by Rorian’s younger brother Royce. Royce was not a big man, and was outweighed by the other competitors. In spite of this, he exploited the other contestants’ naivety of ground fighting and emerged victorious, defeating four opponents in a single night. His wins led to a huge interest in Brazilian jiu-jitsu, particularly in the USA and Japan, consolidating the sport’s status as a truly global martial art. Today, Brazilian jiu-jitsu is riding the wave of the ‘Mixed Martial Arts’ (MMA) explosion, and is the fastest growing martial art in the world. There are now thousands of jiu-jitsu academies spread across every corner of the globe. Sport jiu-jitsu has also grown massively in popularity. 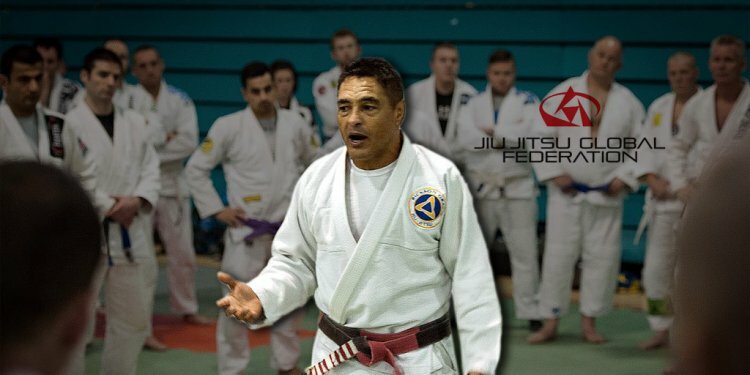 There is an established governing body, the International Brazilian Jui-Jitsu Foundation (IBJJF), which runs a yearly competition circuit that attracts thousands of entrants. Staying true to its roots, jiu-jitsu continues to be effectively utilized in all MMA competition – all fighters, regardless of their speciality, require at least a working knowledge of jiu-jitsu to stand any chance of success.